﻿ Hotel De La Paix Montparnasse Paris. JIMAT di Agoda.com! Ada soalan mengenai Hotel De La Paix Montparnasse? Terletak di 14th - Tour Montparnasse, Hotel De La Paix Montparnasse merupakan tempat menarik untuk memulakan pengalaman di Paris dan kawasan sekitarnya. Dari sini, tetamu boleh menikmati akses mudah kepada semua yang bandar meriah ini boleh tawarkan. Tidak kurang hebat adalah akses mudah hotel untuk ke pelbagai daya tarikan dan mercu tanda bandar, seperti Moulin de la Charite, Montparnasse Cemetery (Cimetiere Montparnasse), Ecole Alsacienne. Menawarkan tetamu hotel perkhidmatan yang unggul dan pelbagai kemudahan, Hotel De La Paix Montparnasse komited untuk memastikan penginapan anda berada di tahap seberapa selesa yang mungkin. Untuk keselesaan dan kemudahan tetamu, hotel ini menawarkan khidmat bilik 24 jam, Wi-Fi percuma semua bilik, meja depan 24 jam, simpanan bagasi, Wi-Fi di tempat awam. Semua penginapan bagi tetamu menawarkan kemudahan yang difikirkan dengan teliti bagi memastikan rasa selesa yang sukar ditandingi. Di samping itu, pihak hotel menawarkan aktiviti rekreasi untuk memastikan anda mempunyai perkara untuk dilakukan sepanjang penginapan anda. Nikmati perkhidmatan yang sukar ditandingi dan lokasi benar-benar berprestij di Hotel De La Paix Montparnasse. Harap maklum cukai tempatan berjumlah 1 EUR seorang semalam adalah terpakai di hotel ini. Caj ini adalah caj tambahan yang perlu dibayar terus di hotel dan tidak termasuk dalam harga bilik. Experience does not reflect 3 stars as hotel claims to be (to some extent typical of Paris hotels). Rooms and other spaces are smaller than they look on photos. My room was definitely not a 12 mq room, perhaps 6 or 7. Neither Agoda nor the hotel mentioned the facility was undergoing renovation, which is what made my stay unpleasant overall: stairs and elevator dusty and dirty, big stones on the stairs left by workers who did not seem care to clean up after themselves. Lots of noise throughout 3rd and 4th floor due to screaming and beating. Walls are thin and rooms aren't soundproof. When hotel needs maintenance, hotel closes until work is done. Staff was kind enough to refund partially. I know it was Fashion Week, but prices were sky-high for this and several other properties of similar range. Our room (#40) smelled of mildew; there were stains on the ceiling and one wall was covered up. I'm guessing they had a leak/flood. Otherwise, room was more spacious than typical Paris hotel. Staff was friendly and helpful. 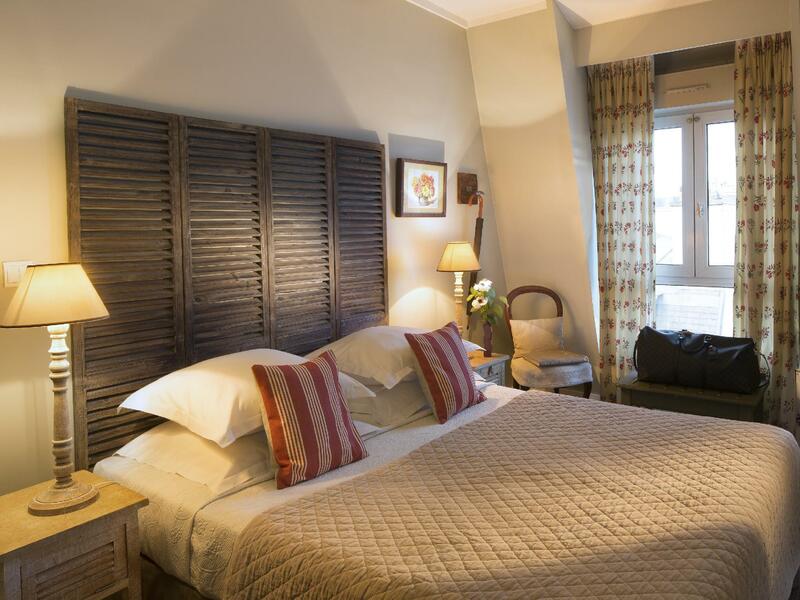 A beautiful hotel in prime location for visiting all of Paris' sites and attractions. 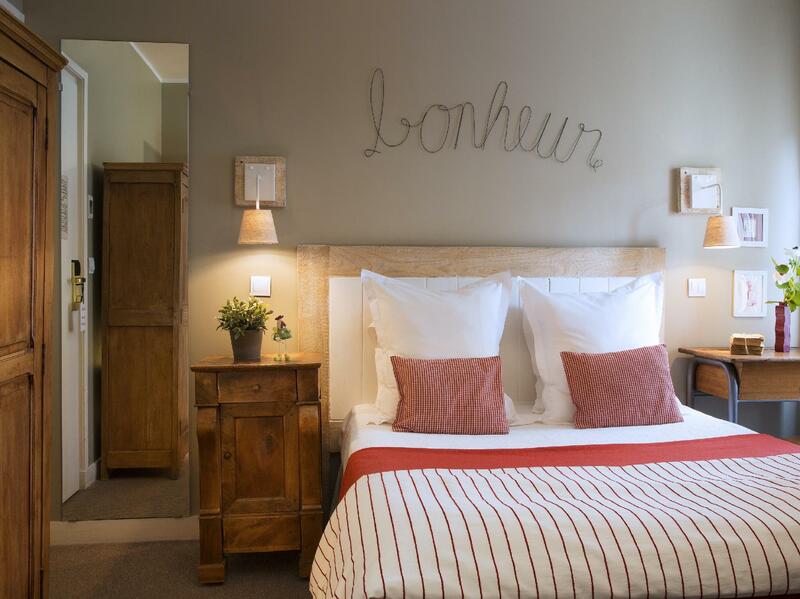 Located in a safe quiet suburb, with the Montparnasse Blvd 2 minutes walk away, which has heaps of great restaurants and bars, there is something for everyone. Will definitely be back! Can't say anything more. Stay here!! bery good customer service but room is not suitable for 2 people. Very good, the staff were very attentive and offered help when they could. The location is fantastic to explore from and it's right by the station. Our room was a little small but it was cosy and the whole hotel has a homely feel. A breakfast buffet is available and is very pleasant, I'd say €10 is a tad steep for it but it is a nice authentic continental breakfast. 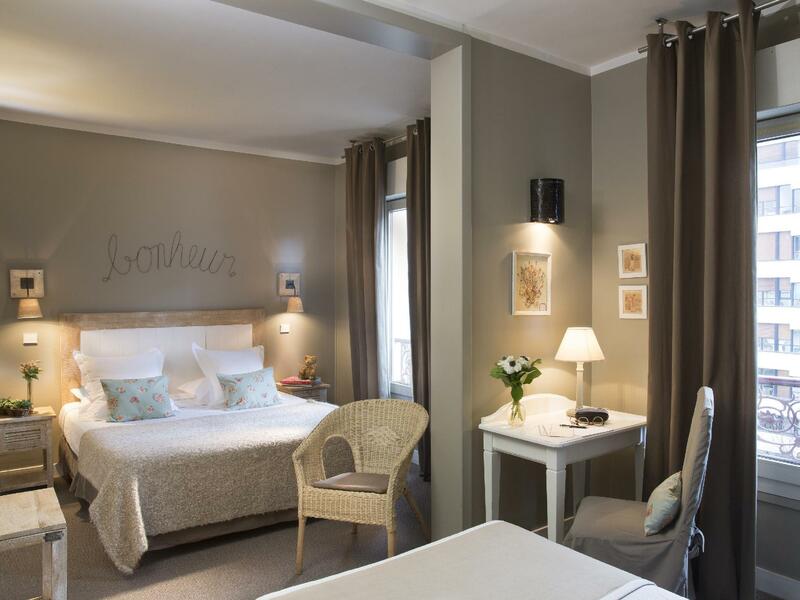 A great little hotel to experience Paris from. The staff were lovely and helpful. The location was perfect. The rooms were cute and quaint! Myself and my boyfriend stayed here for 3 nights and loved it! The hotel itself was easy to find and had a variety of really nice restaurants within a 2 minute walk. The room was small but perfect just for us. The staff were very helpful and the hotel was within 20 minutes or less on the metro from all major attractions around Paris, all very easy to get to. The breakfast was lovely, having tea and coffee, fresh juice and a spread of french delights! The only thing was that, because of how confined the hotel is, you could fairly loudly hear people walking up and down the stairs, however this didn't bother us at all! Would recommend this hotel to anyone looking for this sort of accommodation and would stay again myself! Near Raspail Station, Street Facing, Soothing Atmosphere. Stayed in this hotel for three nights before our next journey to London. Was given Room no 35 and it was not that big. Initially was offer even smaller room but they managed to offer a bigger room. We have to pay additional 50£ per night. The best part is that we we told that we can stay in the bigger room which is room no. 35 for one night and shift to their junior suite for another 2 nights without incurring any additional payment for the junior suite. That's very nice of them. Anyway this hotel design is something different from all other three star I've stayed. Don't expect any porter or room service. The lift can fit in myself, my two 28 inch luggages only. Few inches left in between. Once out from the lift, you have to carry your own luggages down or up a few steps. Don't expect too much. But overall I'm alright. 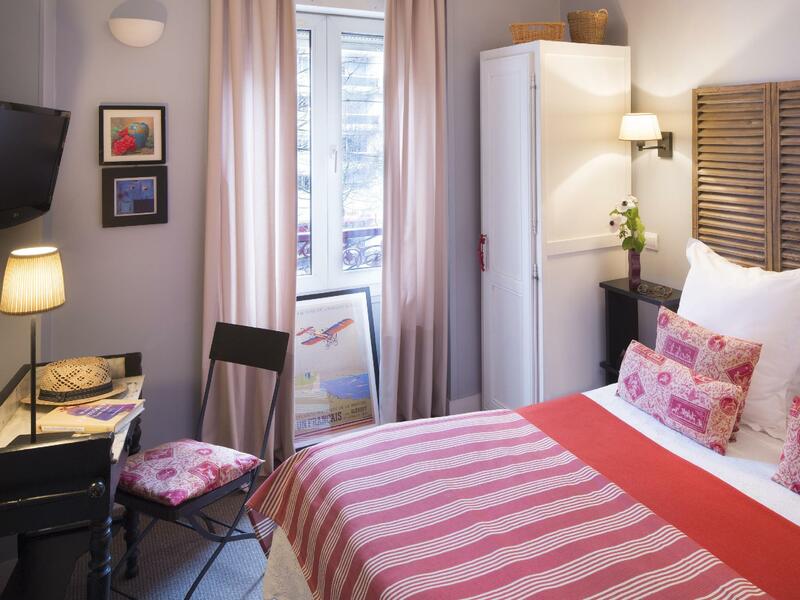 Its just 2 mins away from Raspail Metro station. Halal establishments just about 13 mins walk. If not you can just take a metro, its just one station away. Merci everyone. The location is great, has lots of restaurants nearby that are for locals, not tourist traps. Metro stations very close. Short walk to famous Montparnasse cemetery and the highrise Tour Montparnasse with the viewing platform. Staff are friendly and you can see that the lobby and rooms are maintained with care. Rooms are small and the lift is a bit impractical. The breakfast is a nice french style breakfast (good croissant and baguette bread, and a pot of nice tea or coffee). Fabulous cosy and quaint hotel. Service was excellent and whilst the rooms are small, they are exactly what you need if you are just using the hotel as a base when sightseeing in Paris. We didn't book breakfast but took the offer up where we arrived which was an excellent addition. Would definitely recommend. We were returning to Paris for an afternoon/night before flying home the next day. 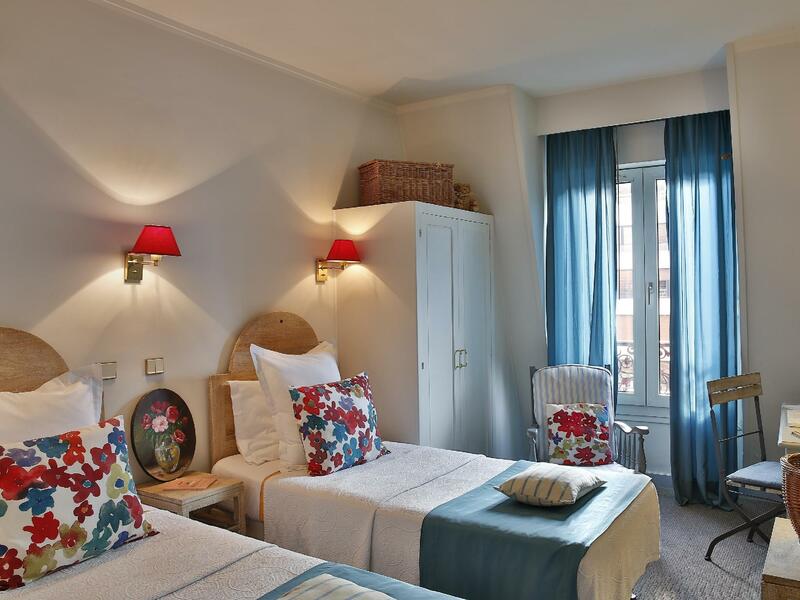 We were just looking for a great location (easy train access to the CDG) and a good price. We had read the reviews, so we knew the room would be small. The room was clean, bed comfortable and although the hotel is on a busy street, the room was surprisingly quiet. We would stay here again for a quick visit. very happy with hotel overall. Rooms were small, but we spent most of time exploring the city so this wasn't a problem. Only problem, we stayed in Room 9, which is beside the stairs on the 1st floor, so bit noisey at night as people went up the stairs.